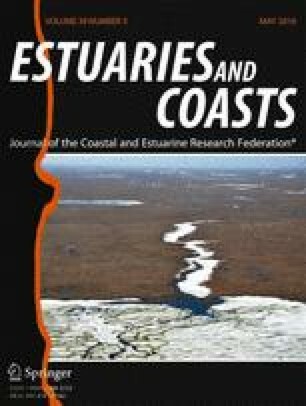 Changes in freshwater inflow and salinity patterns may affect the nursery value of estuarine systems for penaeid shrimp, but the relationship between salinity and shrimp abundance is complex and likely confounded by other environmental variables. Laboratory experiments can provide insights into salinity selection, and we designed an experimental gradient tank to examine salinity preferences of juvenile brown shrimp and white shrimp. Our design uses gently flowing water to eliminate various physical constraints often associated with selection experiments. We conducted experiments with juvenile brown shrimp (12 trials) and white shrimp (seven trials), to examine selection for salinities along a gradient from 1 to 42. Data were analyzed using contingency tables and log-linear modeling to examine relationships with salinity and possible interactions with temperature. Both brown shrimp and white shrimp were present in all salinities examined within the experimental range. In general, brown shrimp showed a preference for salinities from 17 to 35 and demonstrated avoidance for the extreme low salinities along the gradient. Results for white shrimp were not statistically significant, and this species did not appear to avoid low salinities. There was no effect of water temperature on the observed selection patterns for brown or white shrimp. Our results suggest that although salinity preferences likely exist for these species, strong distribution trends associated with salinity gradients in estuaries are likely caused by other environmental factors. Earlier designs of linear gradient tanks were built together with David Aldrich, and we also thank him for discussions that improved our experimental design. We thank Ronald Baker, Lauren Flynn, Shawn Hillen, Juan Salas, and Elizabeth Wilson for assisting in data collection during laboratory experiments and for numerous hours spent collecting shrimp in the field. Lawrence Rozas provided comments that improved the original version of this manuscript. We acknowledge the Northern Gulf Institute and National Marine Fisheries Service (NMFS) Southeast Fisheries Science Center for funding this research. The findings and conclusions in this manuscript are those of the authors and do not necessarily represent the views of NMFS.